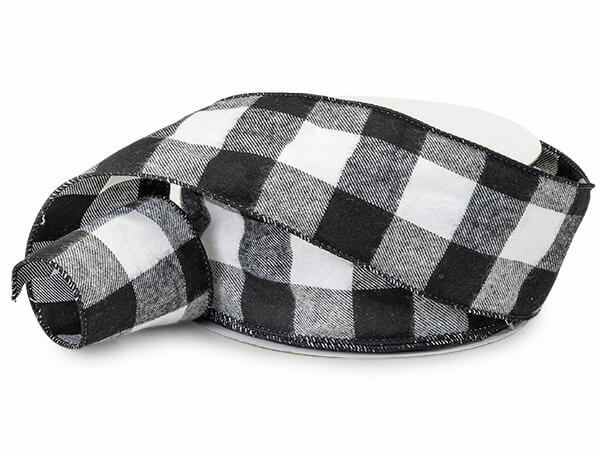 Buffalo Plaid Black & White Wired Ribbon in 2-1/2" x 25 yds. Wired Buffalo plaid has a heavy gauge wire and is right on trend! The large scale plaid ribbon has a heavy woven edge and the plaid ribbon is on both sides of the ribbon - so perfect for making bows! Made of 50% cotton and 50% polyester this ribbon is perfect for the Christmas season or every day use!